In line with high customer demand, mobile technology has experienced significant growth over the past few years. This has caused an increase in the number of mobile solutions and services in the form of mobile apps. However, as the sophistication of mobile technology increases, hackers have discovered a target rich environment for their evil schemes. According to studies, mobile and social media platforms are the worst hit by cyber attacks. Since people treat privacy of their information seriously, creating a secure app is something that cannot be ignored. 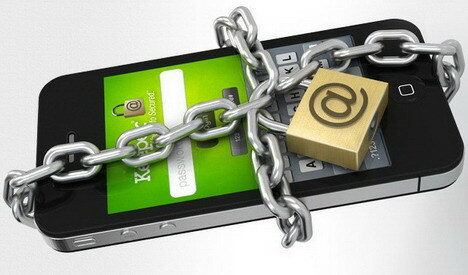 So, how can we mobile apps more secure? Below are a few precautionary measures to take during the creation, deployment, and execution of mobile applications so as to reduce exposure to cyber crime. Hackers often install malicious software or bugs into the design and coding of mobile applications. With this approach, they can repackage already designed applications into rogue apps that will compromise the device of any user who installs the app. To avoid this scenario, enterprises can protect their applications against reverse engineering and tampering through code encryption. Encryption provides the highest and most reliable security as it renders codes completely unreadable thus preventing malicious hackers from gaining access. An app developer can help with encryption of your application’s source code. Additionally, an enterprise can invest in tools that detect and close off security threats to make the app more secure. Regardless of how secure an application is, it can be infiltrated when accessed on a compromised device, leaving the app vulnerable to hackers. For this reason, businesses should look into ways to gauge the security of the underlying device. One way is to ensure that the mobile app sandbox is secure. Application sandboxing is an approach to software development and mobile app management that limits the environments in which certain codes can execute. Sandboxing isolates an application and prevents compromised devices from interacting with the protected app. Alternatively, companies can also use the various mobile app security tools offered in the market. Depending on the nature of an app, users of the application may be able to access company data, documents, and unstructured information. And, since most apps are stored on the devices of users, the risk for data loss or leakage is heightened. To prevent important company data from falling into the wrong hands, companies can implement mobile data encryption. Through encryption, access to company data can be controlled. Since mobile applications allow both app users and company clients to interact with enterprise services on the go, the risk tolerance for transactions varies. For instance, outsiders reading HR content is deemed low risk. However, an outsider gaining access to sensitive information being sent from a client to company servers, or a message approving a large payment to a supplier is extremely risky. To protect vital information, companies can use security software to impose restrictions on accessing data in transit. So there you have it, different ways in which an enterprise mobile app can be made more secure. Companies can approach developers or software security firms for customized programs that keep mobile apps as well as data secure. Gavin Murray writes for XDESIGN, a company that offers mobile application development. The company is known for creating highly customized apps that always meet the needs of their clients.